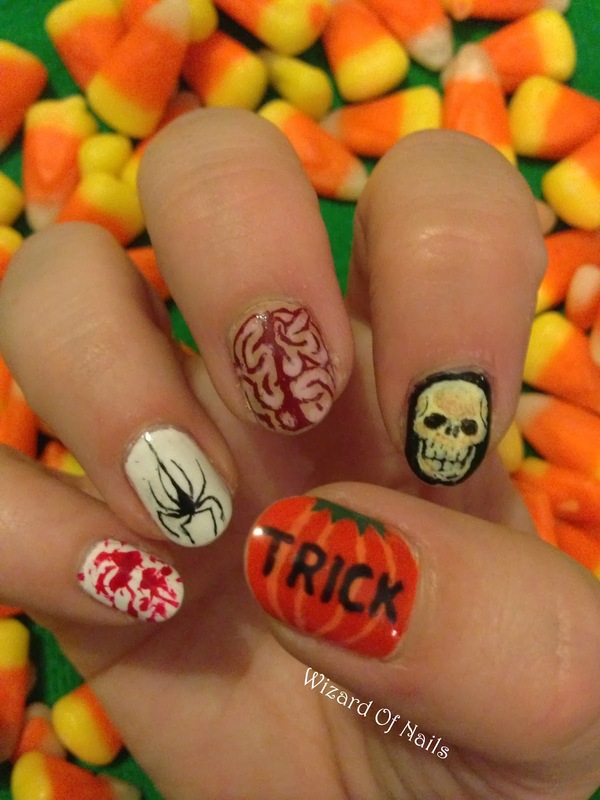 Wizard Of Nails: Trick or Treat! These were the second bunch of nails I created for the Halloween festivities last year. Wanted to go with more traditional designs on these ones so decided on the theme of Trick or Treat, painting scary things on my right hand and cutesy things on my left hand. 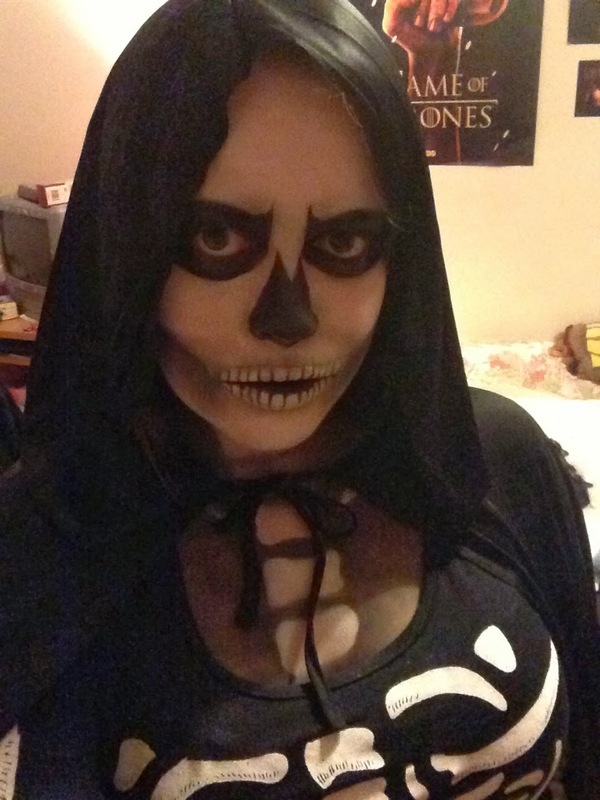 On my right hand I have blood splatter, a spider hanging from its web, a brain, a skull and a pumpkin with 'Trick'. 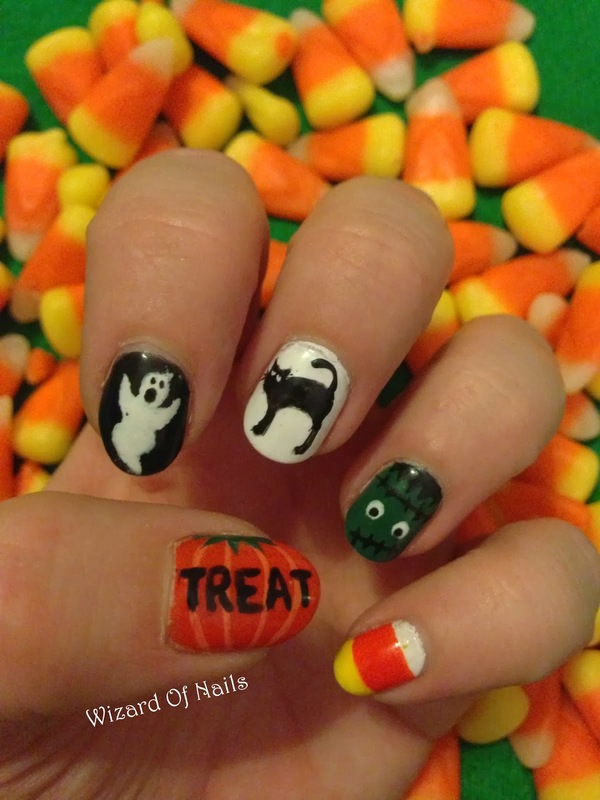 On my my left hand I have a pumpkin with 'Treat', a ghost, a black cat, Frankenstein and a candy corn. The candy corn in the background of these images is one of the many delicious treats I brought back from my trip to New York.